Services — MWV Multi-Media Forensic Investigative Services, Inc. In today’s legal proceedings, electronic evidence is crucial in presenting facts to lawyers, juries and Judges. Helping explain and show the evidence during a trial or motion hearing can be essential to the outcome of your case. MWV will assist you throughout the entirety of your case to ensure that no piece of electronic or digital evidence is overlooked. Exploring options such as: GPS locations, social media pages and electronic communications between not only clients and potential victims, but potential witnesses too. Mountains of data is stored on personal and business computer systems. 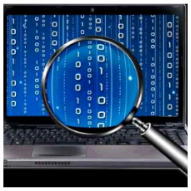 At MWV we conduct forensic examination on Windows based and Apple iOS based computer desktops and laptops. The data contained on these systems can include: stored files (documents, pictures, etc. ), access to files and folders (dates and times), electronic-mail files (locally stored and web-based), search history (i.e. Google or Bing), social media sites, internet history, chat files (i.e. Facebook, iOS chats, etc.) and much more. A full-service Digital Forensic Firm, MWV conducts full preservation and examination procedures. Today’s cellular devices (smartphones) are FIRST personal computers and SECOND telephones. Much like the forensic examination on computer systems, cellular devices store much of the same information. MWV has software and the capabilities to capture public information of social media accounts as well as private user data with the consent from the user/client. Remember a screen shot IS NOT ENOUGH to verify a user or a posting on social media. Make sure to consult with an Analyst today!